A purple hue bathes Mt. Moran along the shores of the Snake River at Oxbow Bend. 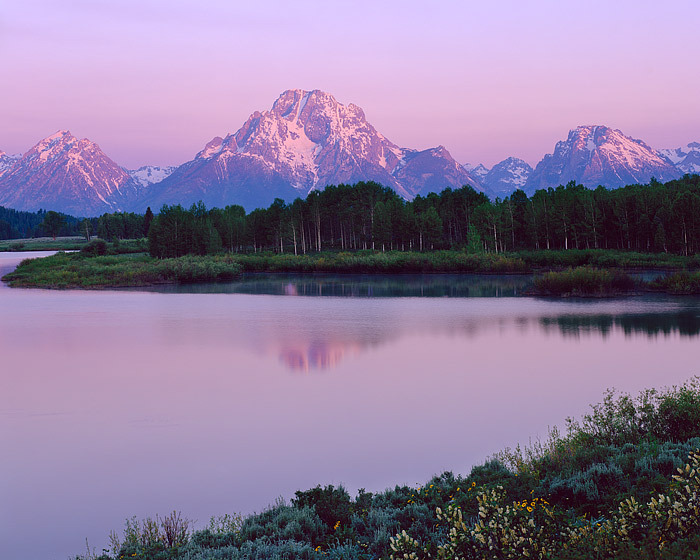 This is one of the most photographed locations in Grand Teton National Park. Waterfowl, Moose and the occasional Grizzly Bear all travel through this location. Photo © copyright by Thomas Mangan.